I was tempted to keep this a secret for a bit longer so that the students weren't going crazy (we still needed to get a couple of things accomplished), but I decided to break the news to them. And, to my surprise, they were UPSET!! Seriously? Where did these kids come from? They were saying things like, "I don't want to go home," and "I don't want to leave Mrs. Madden," or "I'll miss Mrs. Madden today." TALK ABOUT WARMING YOUR HEART!!! This just may be one of the most loving classes EVER! And then, all of a sudden one of my sweet girls says, "I KNOW IT'S THE SADDEST DAY EVER. I'LL MISS Mrs. Madden PIZZA!" Hahahaha.....yep, that's right....I'm in competition with pizza, people! 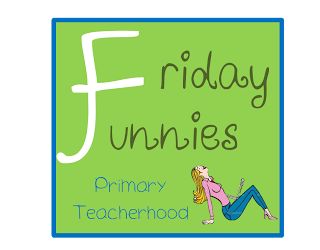 That comment right there made me realize that I had to link up with Ashley from Primary Teacherhood for her new "Friday Funnies Linky." I mean, we can all use a laugh by Friday, and let's face it, kids say the funniest things! One day earlier this week, we were working on some more descriptive writing and one table had decided to use the word "icy" and one of my precious boys BROKE OUT into Ice Ice Baby!! Seriously, broke out - as in we had Vanilla Ice in our classroom for a couple of minutes! I was almost on the floor rolling! It's great to know some parents are keeping the 80's/90's alive! Okay, back to my linky. I had hoped to have more things to share this week, but we really needed to wrap them up today and with our early dismissal, it just didn't happen. We did have our Living Museum yesterday and it was AMAZING....as usual! It is always one of the top events of our year! Everyone from other classes to administrators to parents to grandparents come and they all leave in awe. Last year, I got the SWEETEST email from a grandmother after the event and this year I had a mom asking me to move up to 3rd grade next year! They LOVE it! If you teach biographies (or history) I highly recommend hosting a Living Museum if you haven't already. Here are a few pics from ours. Each student chose a famous person to learn about. We did all of the reading, research and learning at school, but a notice was sent home to parents about helping their child come up with a costume to wear on the day of the event. Students were encouraged to be creative with poses that could represent their famous people. Then, they got in place and went into "statue mode." Some of them were super creative! I mean...could they be ANY cuter?? I swear, they came up with those poses completely on their own! As guests came through, they would press the red button on statues that interested them. Then, the statue would come to life and teach the visitor about his/her life (read their report that was written in first person). Abe is telling others how trustworthy he is. Betsy tells our principal that George Washington wants her to create a flag for the colonies. Dr. Seuss shares some of the books he wrote. Princess Diana wowed all of the visitors with her beauty and grace and of stories about helping the poor and sick. 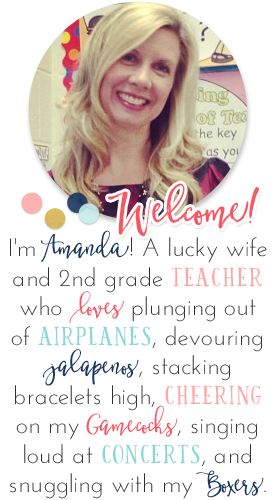 I'm signing off now so I can put the finishing touches on a few resources for a new Biography Unit that will include everything you need to teach this genre to your students and host your own Living Museum! I hope you'll link up to share a couple of things you did this week! I LOVE the living museum!! A friend of mine does that every year with all the famous people we have to learn and it is always so cute! I still haven't gotten organized enough to actually have my class do it, but I'm hoping this year I will as a review before our state test. 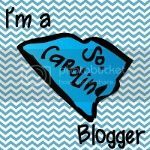 :) Thanks for hosting the linky party! When I student taught in 3rd grade, the students did this and it was one of my favorite activities! 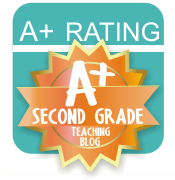 The whole 3rd grade did it and they loved it! Wow, what a fabulous idea. I love the living museum. It would be soo cool to do next year! Suggesting to the team!! Oh, and we are starting to study biographies next week! How funny. I now have Ice, Ice Baby stuck in my head! Love that song! 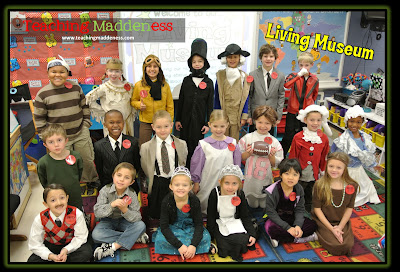 I love the Living Museum pictures!!! The costumes are darling!! Awe! You really do have the most loving class! So sweet!! I've done the same exact living history museum when I taught 3rd grade and we had so many people in our curriculum to learn about. Last year, my first year in 4th, I didn't have time to put it together but it's my goal to do it this year! It's so wonderful and to have the parents and grandparents come is so sweet! Love it!! I love your "Living Museum" pictures! What a great way for students to learn and remember those historical figures for years to come:) Your Ice, Ice Baby story cracked me up! Oh my word! I love your living museum idea! This is adorable! We cover Biographies later this year. I would love to do something like this but I would have NO CLUE how to get them to your final product! I cannot wait for your biography unit so that I can make this happen! Looks like you get great participation! That is great! Awesome costumes! LOVE the living museum! I especially love Michael Jackson because I was just reading your post about Vanilla Ice- I had Michael Jackson in my room this week! What was even funnier was that the kids asked me if I knew who he was. Um, he was the COOLEST when I was 6! So funny. Great post... 4th graders do this at our school and I never would've imagined younger kids doing it. Looks amazing! Oh, and it was white-out conditions here in Northwest Indiana when I left for work after scraping 6 inches of snow off of my car. We still had school... haha. SO different! I LOVE the living museum project and I have to steal it! I've already started created a research project and have this be the culminating activity! I will share photos with you when we do it :) Thanks so much for the fab idea! Wonderful!!! I can't wait to see your project, Amelia! :) It's definitely one of our favorites every single year!